Versatile Power, Inc. a technology leader in the design and manufacture of commercial power supplies and custom electronic subsystems, announces their new BENCH XR Series of compact Programmable 600W DC Power Supplies with Extended Range are now available. The BENCH XR Series is a high-density 1U design which measures just 1.73 in. (44 mm) High x 8.82 in. (224 mm) Wide x 10.30 in. (262 mm) Deep and Weighs only 5.8 lbs. (2.6 Kg). Five (5) models of the U.S.A.-built BENCH XR Series offer output power to 600 Watts, DC output current to 33 amps and DC output voltage to 400V. 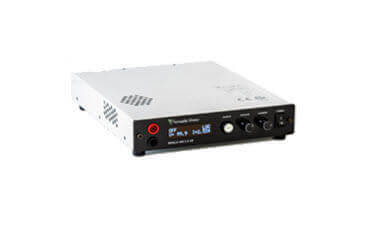 Additional features include: the Lowest Price Per Watt; 75 Percent Smaller in Size than a leading competitor; Full Digital Control – the Fastest and Most Accurate Available; SCPI Compliant USB with LabVIEW Driver and Analog Control Ports; Digital Encoders for Excellent Reliability and Accuracy; Wireless Digital Remote Sense; Built-In Voltage and Current Measurement; and Full OCP (Over-Current Protection) and OVP (Over-Voltage Protection) Protection. Standard user interface includes: Ethernet, USB 2.0 and Analog; and Command Capability for Keysight 603x, Sorenson DLM and Xantrex XFR. The embedded 12-bit D/A and A/D converters provide very accurate controlling and reporting of both voltage and current, making the BENCH XR Series the ideal solution for bench-top and ATE applications. The built-in OLED (organic light-emitting diode) front panel simultaneously shows both voltage and current readings, along with ease of setup and complete power supply status information.